PATH is an international non-profit organization that creates sustainable, culturally relevant solutions, enabling communities worldwide to break longstanding cycles of poor health. In Fall 2006, Chris Elias, then President and CEO of PATH, conceived a global health center that would house not only PATH’s dynamic workforce, but also key collaboration partners. Roy Mann, then at CBRE, and Doug Palm, PATH’s Director of Facilities, were tasked with engaging in a series of conversations with key collaboration partners, civic, and business leaders – all with an eye to landscaping how PATH fit into the broader community environment as well as the global health sector. As discussions evolved, PATH directed its vision toward a solution that would demonstrate the best possible stewardship of its resources. PATH initially looked primarily at build-to-suit options, but changes in market conditions and the viability of new building development during the Fall of 2008 marked a turning point for PATH. During the unprecedented changes in global financial markets in late 2008 and the resulting impact on availability of financing for new construction, the PATH team elected to evaluate new, but existing, construction only. This defined a finite number of alternatives in PATH’s preferred neighborhood of South Lake Union, at the center of Seattle’s global health community. Concurrently with this new focus, the termination of a commitment by Microsoft to lease 2201 Westlake–a new 320,000 square-foot, mixed use project still under construction–presented a unique and previously unattainable opportunity. Roy Mann and CBRE quickly engaged with Vulcan Real Estate, the building’s owner, to negotiate for PATH to serve as anchor tenant in the LEED-certified building. 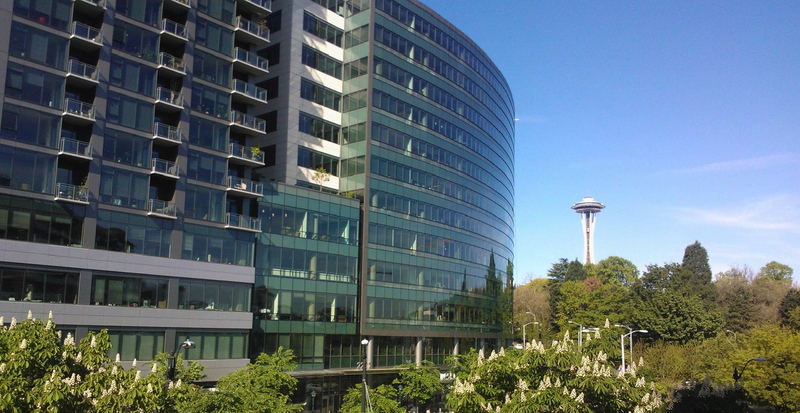 Months of negotiation resulted in a final deal that enabled PATH to stay cost-neutral with its existing lease commitments in the Ballard neighborhood, while effecting a January 2010 relocation for PATH to 2201 Westlake. The strategic location in South Lake Union would ensure for PATH strong connectivity to other key players in the global health community, including Seattle Biomedical Research Institute, UW Medicine, Seattle Children’s Research Institute, and the future Gates Foundation headquarters. In terms of its planning, PATH figured out what really mattered early. The original visioning session in the Fall of 2006 lead to the development of PATH’s “three pillars”: Brand Impact — PATH would be increasingly known as a collaborator and partner in the development and deployment of inventive solutions in global health, Stewardship – Managing resources so there is either a substantial reduction in cost or accumulation of resources, and Talent — Attract the best and brightest through location, amenities, sustainable and collaborative partnerships. These three pillars became a lens through which PATH evaluated each of its real estate decisions. As a result of its careful diligence and remaining true to itself, the PATH team mobilized quickly, seizing an unprecedented market opportunity in a lease for 112,500 square feet that will commence in January of 2010. Mann coordinated meetings with many key advisors to PATH, including Matt Griffin from Pine Street Group and Mike Stanley of the Seneca Real Estate Group who ended up overseeing the Tenant Improvements for PATH’s new headquarters. In the end, Mann’s team created quantifiable savings to PATH in excess of $5.5 million.